This is deluxe model of the classic Sucker Die Box, with all the usual sucker features, handsomely crafted to give you a collector-quality prop. 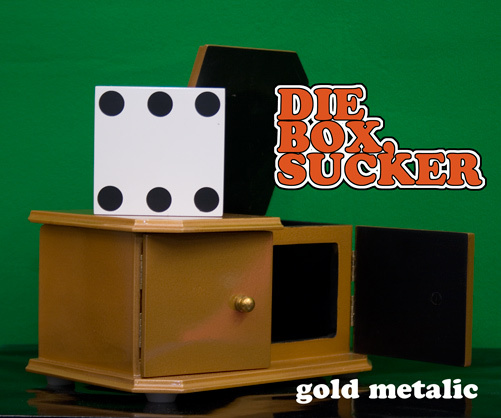 A great kid show item, where a die vanishes from a two compartment box and reappears some place else. A quality model of a classic effect, at a very reasonable price.